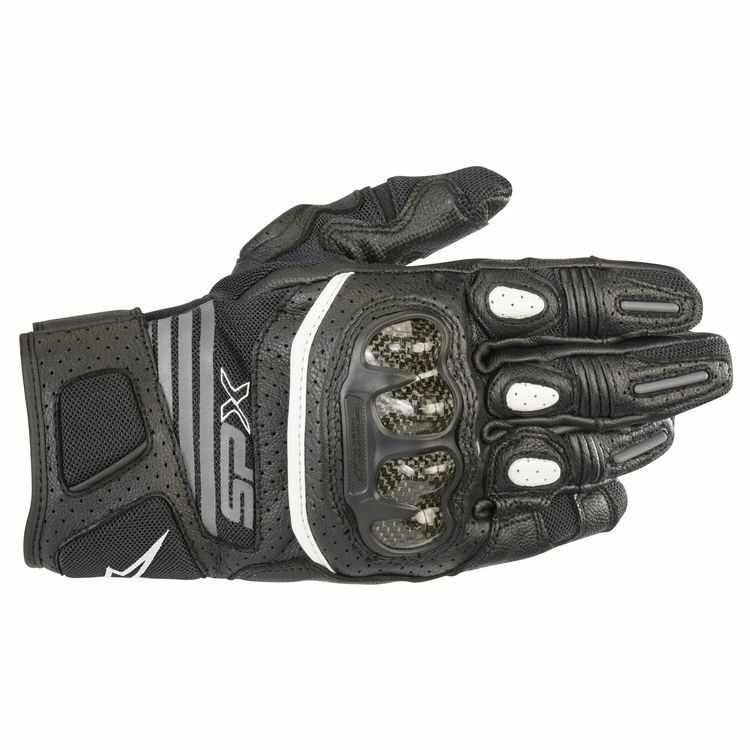 Built to beat the heat, the light CE certified Stella SPX Air Carbon v2 Glove has been specifically designed for the female hand and features a leather and mesh chassis to provide optimal ventilation for warm weather performance riding. Incorporating carbon and polymer protection in the knuckle, the Alpinestars SPX Air Carbon v2 Glove is fully optimized for warm weather performance riding. touchscreen-compatible fingertip for use with GPS systems and smartphones.